We are Back to Square One again. Through the grace of God, we return to square one every morning, with another new day. Another chance to start fresh, to try not to screw things up (at least not too badly) and get it close to being kinda sorta right. And for that, I’m truly thankful. As a family, we’ve also returned to a “square one” of sorts with Stella. Stella is the newest addition to our asylum home. 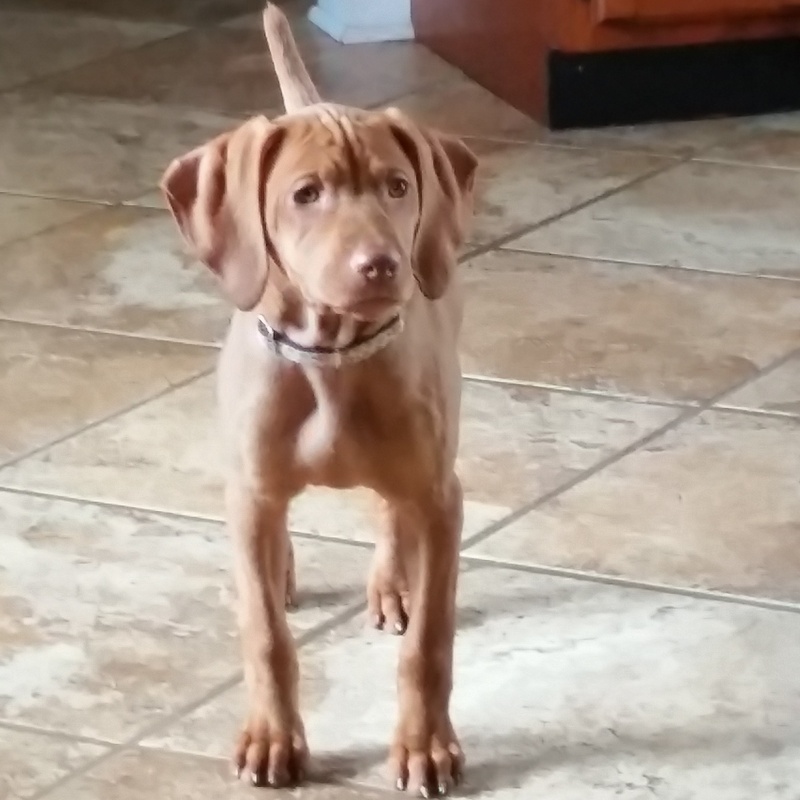 She’s a (now) 12-week old Vizsla puppy, and a crazy breath of fresh air, who keeps us on our toes each day. Some of her antics leave us just short of infuriated, but she’s SO DAMN CUTE. Her presence has given our ol’ boy Buddy a bit of a re-charge as well. Since her arrival, his patience has been tested tenfold, but his demeanor has changed to that of a dog many years younger than his 12-14. (We rescued him, so his exact age is a bit hazy.) All I know is that he’s more active, move involved and actively seeks our attention. Hoping that Stella’s exuberance adds some pep and enjoyment to his golden years. So, today we’re planning to enjoy a 70-something degree day, opening the lake house and assessing our To Do list there. The stage is set for a beautiful and enjoyable day — wishing you the same!